4 children were dead before the doctor realized there was a crisis, the scathing report says. Home https://server7.kproxy.com/servlet/redirect.srv/sruj/smyrwpoii/p2/ Health https://server7.kproxy.com/servlet/redirect.srv/sruj/smyrwpoii/p2/ 4 children were dead before the doctor realized there was a crisis, the scathing report says. When children began to spike high fever from a mysterious virus, medical director at the rehab center said he did not see a crisis. Until the fourth child died. Supervisor, Maged Ghaly. admitted he initially believed that the state's health department was "overreactive" last October when it closed admissions, according to a report by federal inspectors, shed light on the virus outbreak, killing 11 children and sick dozens more last year at Wanaque Nursing and Rehabilitation Center. 1 weeks within a facility in Passaic County that serves children with lifelong disabilities who need around-the-clock care to survive, the report claims. In a letter to federal inspectors, Wanaque's lawyer Andrew P. Aronson aggressively attacked the report and called it "fundamentally inaccurate, riddled with factual inaccuracies … and sensational accusations that lack any kind of support." Wanaque will appeal the results , Aronson wrote. Much of the federal inspectors' criticisms were entirely focused on the director of construction, who told investigators that he never got clear direction on his responsibilities. "I didn't understand which doctor meant," he told federal inspectors. "I've been here 11 years. I was one of several pediatricians, and now I'm the only one left. They all bailed me on. When they asked me to be a medical director, I agreed. me a job description and I signed the contract, "he told inspectors. Investigators said the facility's chief physician was barely on the spot and instead sent his nurse practitioner to a regular meeting. He also seemed to have no real understanding of his role, according to the report of the Centers for Medicare & Medicaid Services. Although they were not mentioned in the report, other records and testimonies before state legislature identified themselves as Dr. Maged Ghaly, having a pediatric practice in Jersey City. Government regulations do not require medical directors or doctors to spend a special time on a care facility. The deadly outbreak that killed 11 children ended months ago. The nursing home, where the dead are still, cannot admit new patients. The federal findings first reported by NorthJersey.com depicted a facility that was not willing to respond to the virus's rapid spread through its pediatric wards not only monitored by his absent medical director but also plagued by poor infection control as well as a "lack of timely intervention and care." Ghaly told inspectors that he first believed the prime minister had overreacted when the virus first struck the plant in northern Passaic County. "I said, how is it going to spread? It was in October," he told investigators. "I knew we had a problem after the fourth death." The health department did not publicly confirm the outbreak until October 22 and the first six children died on October 23. Ghaly did not return calls to his office and home. The State Health Department prepares its own report on a crisis that has raised questions from lawyers, elected officials and the department though how the long-term nursing home has responded when the children began to die. New Jersey health officials curbed admissions to Wanaque until a new plan to prevent the spread of infection is approved. They also suggested a $ 20,965 penalty imposed on infection control offenses discovered during the outbreak. "The Institute has no comments," said Prime Minister Spokeswoman Donna Leusner when asked about the federal report. But the state results were not as extreme and exaggerated as those obtained by the federal government, said Paul Fishman, a lawyer who also represents Wanaque. "The state was there for six weeks. CMS was there for only 5 days. The state health department did not get in touch with any of these conclusions," Fishman said. "They had access to the same people and looked at the same items. " The deficiencies CMS pointed out were far-reaching and aimed not only at Wanaque Center's medical director but also its administrator, saying that they have not" developed and implemented action plans to monitor the outbreak and the results directly contributing to the delay in the containment of the virus. " The report pointed to delays in the identification and treatment of the highly transmissible disease in a medically vulnerable population, as it said resulted in 33 of 53 pediatric residents on ventilators who tested positive for adenoviruses, ranging from infants to teenagers. Of these, 34 had to be transferred to the emergency room or to the hospitals. Ultimately, 11 died. In one case, the medical director and a nurse practitioner waited for a week a week before sending a child to the hospital. "This delay in treatment and transfer resulted in the resident returning with a tracheostomy," the report said. A tracheostomy is a surgical procedure for making a cut in the neck that opens a direct airway in the trachea to help a patient breathe. According to the staff of the health department, the first children who came down with the virus at the Wanaque Center were diagnosed on September 26. Adenovirus contains a variety of respiratory viral strains which can cause mild or severe disease. During weeks, 36 had contracted viral infections. An employee was also diagnosed with adenovirus, but restored. In response to the federal inspection report Edward J. McManus of ID Care, contagious disease practices concluded after the State Health Department ordered Wanaque to take corrective action called outbreaks "inevitably." "From my professional opinion, the outbreak was inevitable, and its scale and consequences were due to a particularly dangerous strain of virus that hit a very vulnerable population," McManus said in a statement. "The strain of adenovirus that caused the outbreak has an incubation period of up to two weeks and is highly contagious." McManus described the medical, nursing and administrative staff as "professional, competent, committed, compassionate and receptive to whatever steps would limit the impact of the outbreak and prevent future repetitions." "As primary care educators for the children living in Wanaque for more than a decade, he is very familiar with each of their medical stories, conditions, medications and treatment. I have also noticed that even when he is not on the facility, he can be and be reached when needed by the nurse and the nurses, "McManus wrote. At the Wanaque Center, a worker who spoke of state of anonymity out of fear of retaliation, said Ghaly was being unfairly targeted. "They're just trying to blame this guy. You can call him, leave him an answering machine, everyone has their cell phone, and he also tells them to write him so there's no way they're not in contact. with, "said the pediatrician. "Should he have been more aggressive? He could probably have, in some cases, especially when it began to spread." But the worker's fault had to be split at the top and note that there is an assistant nurse on the floor all day and a fee it is there all day, and the facility administrator. 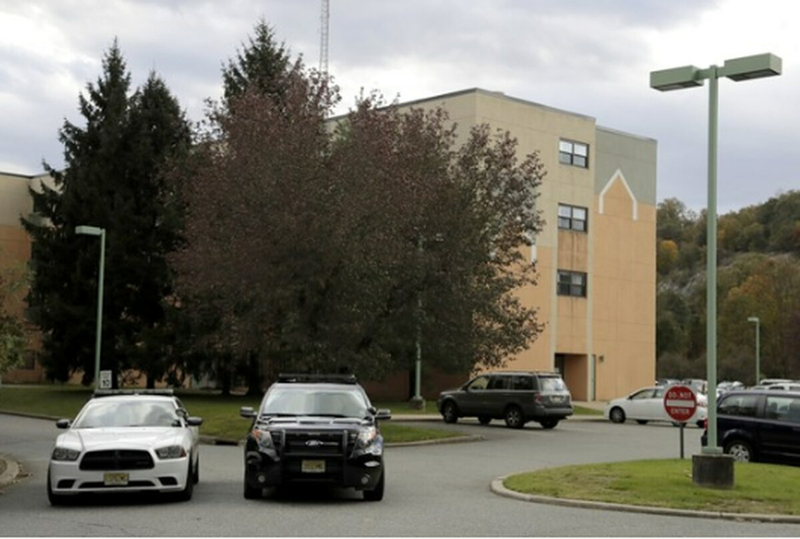 Employees at the Wanaque Center for Nursing and Rehabilitation claimed that senior administrators delayed sending children to the hospital, although many began to die. State Secretary Joseph Vitale, chairman of the Committee on Health, People and Business, who has held a legislative consultation on the outbreak in Wanaque, said that all issues raised in the CMS report will be addressed. "There will be a legislative and regulatory solution based not only on this report but on Commissioner (Shereef) Elnahal's report," he said. One of these fixes may include staffing requirements for a doctor. "A facility that is size and with a sharpness that is significant, in my opinion, requires a medical director to be on the spot," Vitale said. Government officials said the New Jersey regulations did not mandate the number of hours a doctor should be on site. He said he was also led by Ghaly's statement in the report that he did not understand his role. "I do not know which part of the (medical director) title he did not get. This is disturbing at least." But he said that the blame cannot be placed only on one doctor. Rowana Bautista, administrator of the Wanaque Center, must be held accountable, Vitale said. "There was a breakdown in the whole command, from the top to the carers," he said. "Leadership matters here. There were management issues. There was a clear collapse in protocols along the way." Lawyer Paul da Costa, representing the families of some who were ill or died of adenovirus-related complications at the Wanaque Center, said they federal findings confirmed they had believed to be true. "My clients entrusted their children to this facility, which represented itself as being able to treat these medical fragile children in accordance with acceptable acceptable standards. 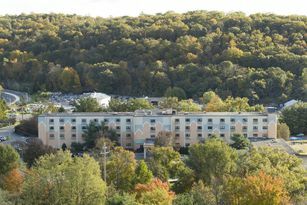 But unfortunately, it seems more than ever that there was a lack of infectious and preventive control measures in place, including the inability of the Wanaque Center to predict an outbreak of infection such as adenovirus, which would naturally require space within their plant to separate patients to control the spread of the infection, "he said. He also said that his clients were disturbed by the reporting that the medical director was not even aware of what his role and responsibilities were and seemed to have been released from the daily clinical care and treatment of the patients. "My clients' intentions based on what we have determined through medical records and now the apparent conclusions of the federal government's investigation are to bring an action against Dr. Ghaly for medical negligence in his role as medical director and to attend a pediatrician. "he said. Editor's Note: Do you have a family member of the pediatric unit at the Wanaque Center for Nursing and Rehabilitation, or a child who has been affected by the virus outbreak there? NJ.com would like to hear from you. You can contact us at (732) 902-4559 or write to Susan Livio at slivio@njadvancemedia.com Spencer Kent at skent@njadvancemedia.com or Ted Sherman at  tsherman @ njadvancemedia.com .